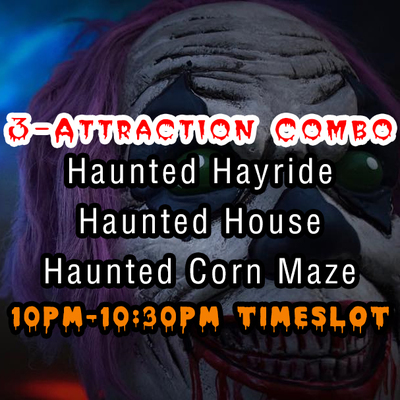 10PM to 10:30PM time slot for the Haunted Hayride, Haunted House, and Corn Maze. Please arrive any time between 10pm and 10:30PM to start your evening off with the hayride. 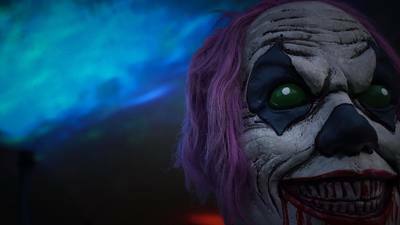 From there you can leisurely head to the haunted house and corn maze. It will take between 2-3 hours to get through everything.